TWO ONLY - HALF PRICE! 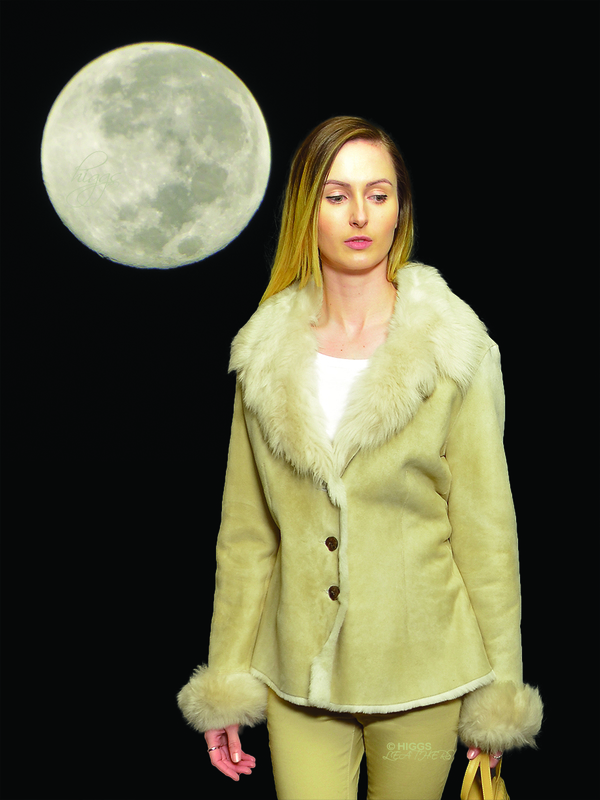 Exquisite palest beige shade ladies Merino shearling jacket, with rever collar and turn back cuffs of longhaired Toscana Lambskin. All the outer edges have been left unturned to show an edging of the soft inner wool and give a more casually modern appearance. So light and soft yet wonderfully warm! Very slightly faded, hardly noticeable. Jacket length apprx.24" (61 cm).